Have you met RockMelt? Neither have most people, it seems -- but the Web is definitely a-buzzin' with word of the mysterious new browser. Thanks to a high-profile story in The New York Times , RockMelt's rapidly becoming the talk of the tech community. 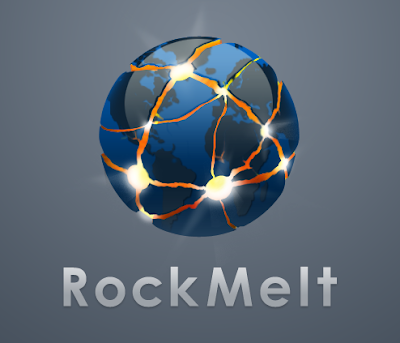 So what exactly is RockMelt, and who's behind it? Most of the available info is sketchy at best. If you piece it all together, though, you can get a very rough picture of what the browser might be about. Here's a roundup of what's been revealed so far. 1. RockMelt's founders are two former Opsware employees. The guys reportedly creating RockMelt are Tim Howe and Eric Vishria, both of whom used to work at networking company Opsware. Opsware was founded by Netscape creator Marc Andreessen and sold to HP in 2007. 2. Andreessen himself may be involved with RockMelt. Andreessen is investing in RockMelt, according to unnamed sources quoted by The New York Times. Andreessen apparently alluded to the project in an interview earlier this summer as well, telling The Times he had "backed a really good team." Within minutes, The Times reports, Andreessen "appeared to regret his comment" and declined to elaborate any further. 3. RockMelt will be "different" from other browsers. It's a vague statement, but Andreessen is quoted as telling The Times RockMelt would stand out from the pack of browsers currently on the market, focusing somehow on the "network of complex Web sites and applications" into which the Internet has evolved. 4. RockMelt may feature some kind of Facebook integration. The idea of a Facebook relationship is echoed by materials published by tech blog ReadWriteWeb. The blog's lead writer, Marshall Kirkpatrick, says he obtained an early build of RockMelt. He calls it a "semi-independent desktop client for Facebook," offering a screenshot as an illustration. Despite those reports, Facebook is denying knowledge of any kind of formal relationship with the startup. A Facebook spokesperson has gone on the record as saying the company is "not aware of any details about RockMelt and its product." 5. RockMelt may have its own URL shortener. RockMelt has registered the domain me.lt as a URL shortener, ReadWriteWeb's Kirkpatrick claims. He says the domain was referenced on the RockMelt home page up until early this week. According to DNS records, the me.lt domain was registered on April 16 of this year under the name "Klute-Thiemann Informationstechnologie GmbH & Co. KG." As of now, it points to a generic server landing page. 6. RockMelt's team is staying decidedly quiet. I really enjoy your blogspot, I like it!!!!! I´m not an expert but it was easy for me to understand this technologic things . Sorry if I have mistakes. Thank you very much Gina, i appericate that.